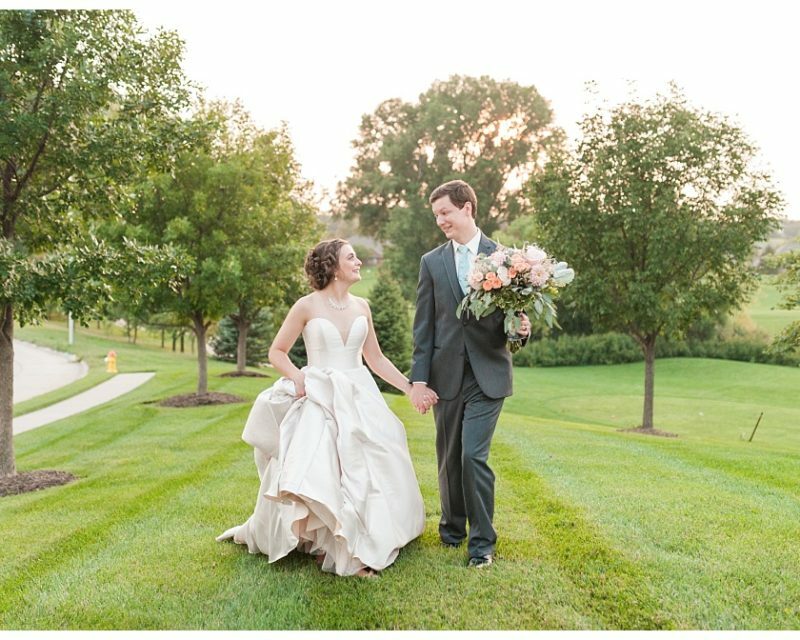 Maggy and Dan wanted an autumn wedding with a moody and romantic feel, and with their stunning fall florals and burgundy, navy and gold color scheme, they achieved just that. 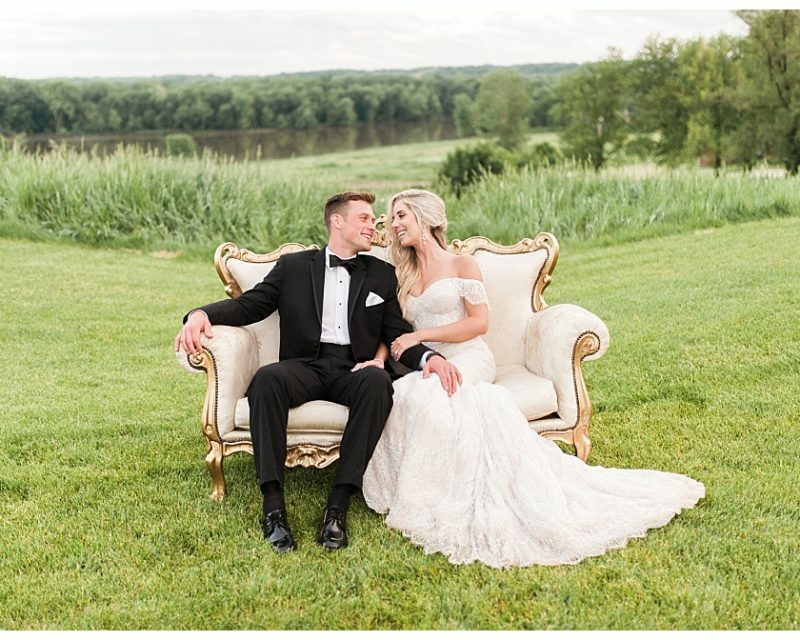 The weekend they chose for their nuptials was not just random either – Maggy’s family has a tradition where they take a trip to Northern Iowa and Wisconsin to see the changing leaves, visit the apple orchards and enjoy autumn treats. It was always Maggy’s hope to have an autumn wedding that weekend so she could share her favorite time of year with her wedding guests. They chose TPC Deere Run for it’s beautiful views and tall trees creating the perfect autumn backdrop. Also, one of the first things Maggy and Dan bonded over was their love of golf – so why not get married at a golf course!? 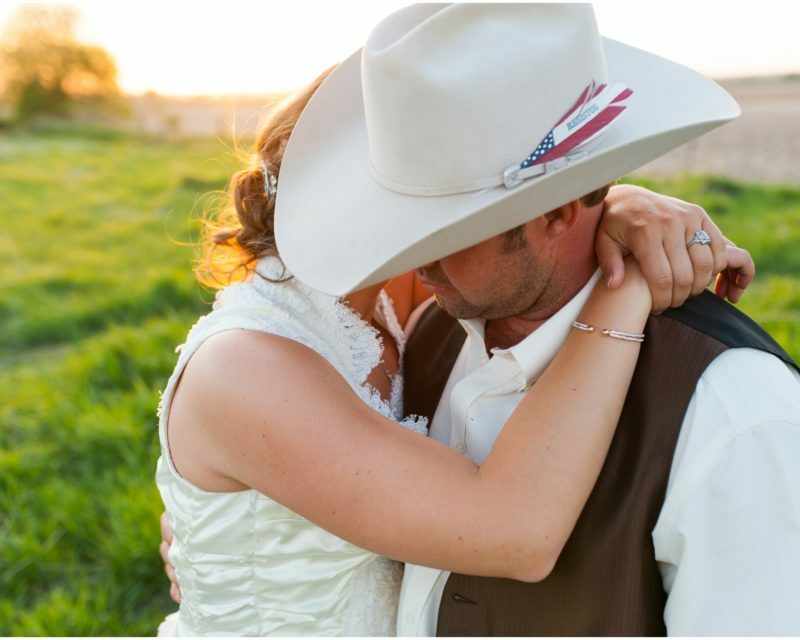 The couple had coozies made as wedding favors that stated “we want to be formal, but we are here to party!” and Maggy says that could not be more accurate. After they exchanged “I Dos” the couple and their 250 guests enjoyed a cocktail hour with his and hers appetizers, snacks and desserts, and after dinner Maggy’s brother Aaron rocked the dance floor so hard that he split his pants! The guests were served a Nacho Bar later in the night ensuring that they would have enough fuel to keep the party going all night long! You can see Maggy and Dan’s engagement session in this post here! Other food (popcorn) – Great American Popcorn Co.